When do rehearsals begin and what is the schedule? The rehearsals will begin the week of August 29. Rehearsals continue for the next two weeks. All rehearsals will be between the hours of 4 p.m. and 6 p.m. Your child will only rehearse once the week of August 29, and then will rehearse Tuesday through Friday the week of September 5. Starting Tuesday, September 13, all youth casts will move to the Tennessee Performing Arts Center for final rehearsals and performances. CLICK HERE to view the rehearsal and performance schedule. Why are 7 year olds (only born in 2009) accepted in Cinderella? We encourage 7 year olds who are turning 8 by December 31 of this year to audition for Nashville’s Nutcracker. Rehearsals will last anywhere from 1 to 2 hours, depending on the role your child is cast in. When are the performances of Cinderella? Friday, September 16, 2016 at 7:30 p.m.
Saturday, September 17, 2016 at 2 p.m.
Saturday, September 17, 2016 at 7:30 p.m.
Sunday, September 18, 2016 at 1 p.m.
Sunday, September 18, 2016 at 6:30 p.m.
Will my child be in all five performances of Cinderella? All youth cast members do not appear in every performance. What should be expected at the audition? At the audition, children will be taught sequences of steps from various age-appropriate youth cast roles. The children will be evaluated on their ability to learn and execute these steps. The atmosphere of our audition is light and fun, as we know the children are usually nervous. The steps they are required to execute are not difficult. What is the appropriate audition attire and behavior? Since all children are members of School of Nashville Ballet, it is best to audition in their SNB uniform. Children auditioning should be quiet and attentive during the entire audition. NO chewing gum will be allowed. How and when do we find out if my child has been cast? All children will receive an email notification informing them of whether or not they received a role. Emails will be sent by the end of the day on Monday, August 22. 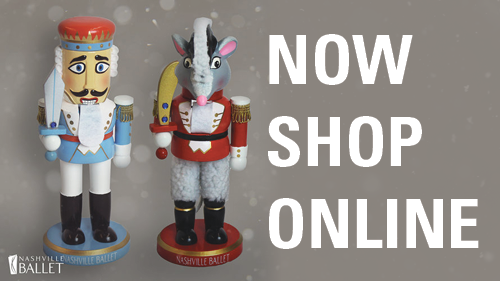 NOTE: Make sure to add Nashville Ballet to your address book or trusted sender list to make sure you receive our email. 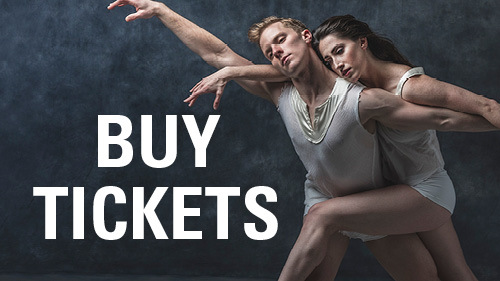 If you haven’t received an email by Tuesday, August 23 after checking your spam and junk folders, please email youthcast@nashvilleballet.com or call (615) 297-0287. What are the youth cast roles like? Should your child receive a role in Cinderella, they may find the part “easy.” They should take note that Cinderella is a professional production and the difficult dancing is performed by the professional dancers of Nashville Ballet. However, most children find this experience fun, rewarding and unlike any other! The most important thing to remember is that your child will learn many things by being involved in a professional production, and will take many cherished memories with them. How much of a time commitment will the Cinderella youth cast be for me and my child? All rehearsals and performances are mandatory. There are no conflicts allowed and absences will result in dismissal from the production. ILLNESS IS THE ONLY EXCUSED ABSENCE. Should your child receive a role, one parent will be required to attend a mandatory parent meeting on Friday, August 26 at 6 p.m. at Nashville Ballet (3630 Redmon Street, Nashville, TN 37209). Your child cannot accept their role without a parent attending the meeting. Please note that parents can send a proxy to the meeting and children need not attend. Will there be rehearsals the weekend of Labor Day? No, there will be no rehearsals the weekend of Labor Day or on Labor Day. We are planning a family trip that would fall on the same day as a rehearsal or performance. Can my child still participate? NO. If you have a family conflict (wedding, anniversary, reunion, etc.) with a Cinderella rehearsal, you should consider NOT auditioning for the youth cast. If you do decide to audition, be prepared to arrange for your child to attend rehearsal. Remember, ILLNESS IS THE ONLY ALLOWABLE ABSENCE. If you have any more questions that were not answered above, please contact us at youthcast@nashvilleballet.com or (615) 297-0287.